FROM SUNDAY 18th MARCH 2018 ADAM BYATT’S ‘TRINITY’ RESTAURANT AND FISH & PIPS CHALETS WILL JOIN FORCES TO DELIVER ‘A TASTE OF TRINITY‘ IN THE ALPS. FOR A LIMITED TIME ONLY GUESTS CAN EXPERIENCE MICHELIN STAR CATERING IN FIVE STAR CHALET LUXURY. 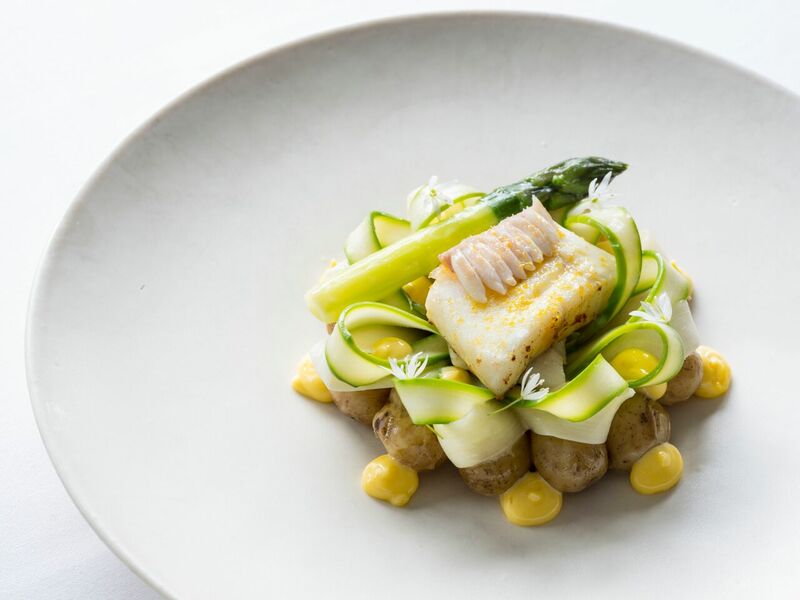 Adam Byatt’s long-standing sous chef, Chris Bolan, will take the reins in the Fish&Pips kitchen for the duration of the week and bring Trinity’s Michelin-star excellence to the table. Working alongside Chris to deliver a five-star service will be Trinity’s Assistant Restaurant Manager, who will be on hand throughout your stay. Daily breakfast, afternoon tea and five-course evening meals will all be taken to new heights by Bolan’s magic touch and with guest appearances from Byatt himself. The menu will reflect Byatt’s signature contemporary style and feature Trinity classics such as Vermouth Poached Salmon, Truffled Comte Gougeres and Red Wine Braised Irish beef cheeks. As always, the Fish&Pips team will be on hand to ensure five-star service to accompany the exclusive menu. Chef Byatt has long been a fan of Fish&Pips’ food-led chalet concept and plays a key role in training the new season’s chefs each year. He is thrilled to be working with the team again this winter to bring a ‘Taste of Trinity’ to the mountains. A ‘Taste of Trinity’ will be hosted in Fish&Pips’ brand new luxury Chalet Cerf Rouge and include all the trimmings of an F&P five-star chalet holiday.